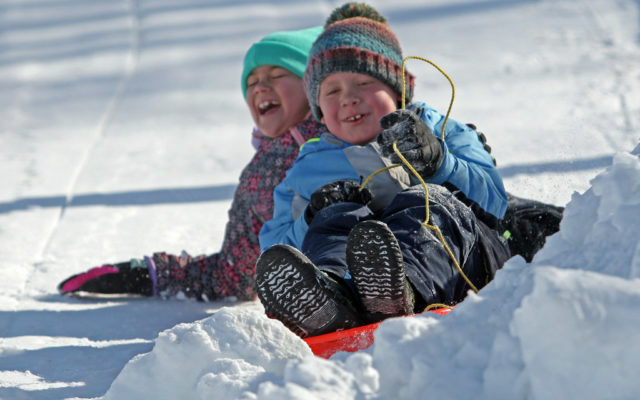 Eli Weber, front, and Taylor London share a laugh as they slide down "Derby Hill" in Houlton Sunday as part of the 23rd annual Moosestompers winter carnival. Eli Weber, front, and Taylor London share a laugh as they slide down “Derby Hill” in Houlton Sunday as part of the 23rd annual Moosestompers winter carnival. Thank you for your interest in The County. Please LOG IN or SUBSCRIBE to view the entire article.